Donna McDonald PhD is Senior Research Fellow in the School of Human Services and Social Work at Griffith University (Australia). She convenes and teaches courses in disability studies. She is currently leading a research project with a major disability service provider to get an improved understanding of what their clients and organisation need to be ready for the NDIS. Donna's research areas include deaf identity, disability policy, disability history in Australia, representations of disability in the visual arts, literature and memoir, and cultural responses to disability. Donna's publications include a memoir of grief and loss, "Jack's Story", and several essays including "I Hear with my Eyes", "The Reluctant Memoirist" and "When Time Stops: The Courage for Joy". Her book, "Art of Being Deaf: a memoir," was published by Gallaudet University Press (Washington DC) in May 2014. 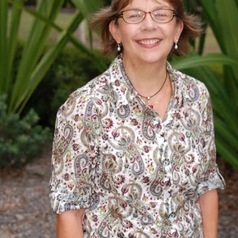 Donna is on the editorial board of the International Journal of Loss and Trauma, and is a regular guest reviewer for the American Annals of the Deaf. Dr McDonald has thirty-plus years of experience as a social worker and policy advisor, working at all levels of Australian government - including for a Federal Parliamentarian and State Government ministers - and also in Kent County Council in the UK.